Consumers who order online, which covers both delivery and in-store pickup, spent an average of $70 per transaction, the majority of which (70%) was spent on flower products. Concentrates represented approximately 1/5 of spending (22%). 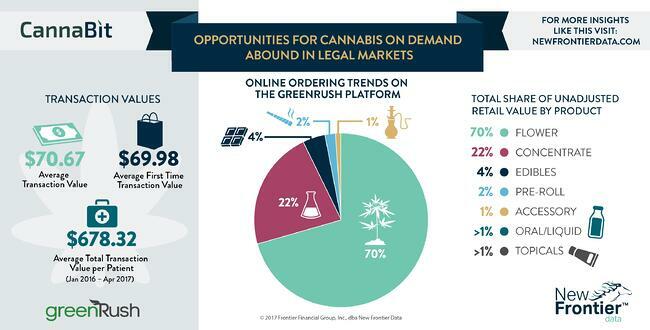 California’s cannabis market will expand significantly when adult use sales begin, and on-demand ordering will be a key driver of both consumer access and product choice as the market grows.